There is probably no single report used, obsessed and valued by sales management more than the pipeline report. A strong pipeline means confidence and the ability to invest in future growth. A week pipeline creates concern and a focus on problem solving. While I’m still surprised by the number of companies that don’t maintain a disciplined pipeline management process, the trend is positive. With accelerated adoption of CRM systems, more companies are at least documenting their pipeline more consistently. Now I love pipeline reports and there are few things more valuable for everyone involved in growing a business than an effective pipeline review process. The keyword in that sentence is “effective,” and you can’t be effective without a reality-based view of the pipeline. Too often, the pipeline becomes a “parking lot” of opportunities. This results in either ignoring it, which is bad on a number of fronts, or creating a false sense of confidence, which is very dangerous. Back in November, I shared the 5 questions a sales manager should ask to assess an opportunity. Today I’m sharing the 10 questions you should ask to assess the quality of the total pipeline. 1. How many opportunities are in the pipeline? The first few questions are pretty straightforward (and obvious), but they’re also easy to forget. While the specific number will vary by industry and company, an effective pipeline has a volume of opportunities. All things being equal more opportunities is better than fewer opportunities. Keeping track of the trend is also valuable. 2. What is the total value of the pipeline? If every opportunity in the pipeline were to successfully close, how much revenue would be created? It’s also worth noting this metric on a month-by-month and/or quarter-by-quarter basis based upon the anticipated close date. 3. 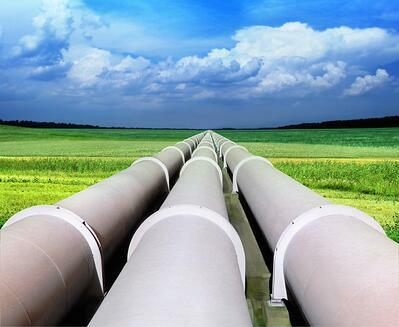 What is the forecasted value of the pipeline? This metric works hand in hand with the last. Applying your probability adjustment, what’s the value of the pipeline? While some people only track this number, I believe that keeping track of both numbers is healthy. For example, if the number for this answer is less than a third of the total value, then I know the pipeline has a lot of potential, but also a lot of risk. If it’s 75% of the total value, then I should have a high level of confidence in the revenue that will come from the pipeline. However, I also know that I’ve got a problem at the top of the funnel and we’re going to have a problem in the future if we don’t adjust. 4. What’s the concentration of opportunities? I’m working with a client where the pipeline right now looks better than it ever has. The problem is that two of the opportunities make up more than 70% of the potential. This is great news if those deals close, but it also means that the pipeline has far more risk than it should, even if those opportunities have a high probability of success. 5. What’s the velocity of the pipeline? Velocity measures the growth and action of each phase of the pipeline. What is the month-over-month growth for each section, as measured by the first three metrics. 6. How well is the pipeline balanced? A healthy pipeline keeps a balance between each stage. On a probability adjusted basis, the three sections should be fairly equally balanced as the early stage should have more, lower probability opportunities, while the late stage has fewer, high probability opportunities. 7. How many opportunities with no action past x days? Time kills all deals. Deals in motion tend to stay in motion, and deals at rest tend to stay at rest. If you’re seeing opportunities lagging in your pipeline be sure to take immediate action. Deals with little action represent lower quality opportunities. 8. How many red flags per late stage opportunity? There are always risks to winning a deal. As an opportunity moves through the pipeline, the number of those red flags should diminish as they’re either properly handled or the opportunity is weeded from the pipeline. The problem with many pipelines is that there’s no formal process for ensuring that red flags are handled appropriately, and salespeople often only learn about the problems after they do all of their work. Tracking this forces you to manage opportunities better and stops you from wasting time on deals that are never going to close. A healthy pipeline has very few red flags per late stage opportunity. 9. How many deals are past their close date and/or how often are we changing the close date? A healthy pipeline increases the predictability of the business. If deals are passing their close dates or salespeople are constantly changing anticipated close dates, it’s a clear sign that we’re missing things and aren’t doing the job we should be doing in the assessment phase of the sales process. It’s also a sign that we’re spending time on opportunities that shouldn’t be in the pipeline. 10. How accurate are our forecasts? If you’re not doing this currently, be sure to start. Track your pipeline forecasts and assess how accurate they are. Don’t worry if the results you get are (insanely) depressing, because they usually are. I’m amazed how rarely people actually assess the accuracy of their forecasts and continue to rely on them as it they were indicators of growth. For example, by tracking this information, I learned that we have a tendency to overestimate how fast an opportunity is going to close. Becoming aware of that has enabled us to put systems in place, and address issues with prospects more effectively, to reduce that likelihood.